“[m]ost companies do not collect the correct information in the most efficient manner”. I have to take issue. While external organizations (such as my firm) have much more flexibility in collecting data than do our corporate counterparts, part of the significant difference between government collection of intelligence and corporate collection of CI lies in resources. That is, a team of two or three (private sector) employees (or consultants) cannot be expected to collect, maintain, and continuously analyze the vast amounts of data on a competitor or competitors that an entire team of analysts, supported by a separate team of full-time data collection professionals, in career governmental positions, can generate and maintain. In addition, the private sector is constrained from many forms of data collection available to the government, so that they rely on a smaller range of options. For example, signals intelligence, based on the interception of communications, is absolutely barred for the private sector, while it is available, admittedly under certain constraints, to the governmental sector. Many businesses, properly so, limit or even forbid direct contact with competitors about certain issues including, of course, prices and pricing. Some, to protect against accidental violations of this standard, even bar one-to-one communication with employees at any competitor. In addition, CI ethical standards do not permit an employee of one company to collect human intelligence (via elicitation interviews) from competitors by lying about his identity or her employer. Similar limits do not exist for the government. Overall, the strong parallels between the governmental collection of and development of intelligence and business’ intelligence activities are increasingly diverging. After years of development, government intelligence culture, tools, analytical and communications protocols differ more from those of CI than they did 30 years ago. That is because the missions, the methodology, the legal constraints, and the total resources devoted to the respective tasking has less and less symmetry (properly so, because there is a difference between losing market share and losing lives). In light of that, I expect that competitive intelligence can and should differ from governmental intelligence both in intelligence collection and analysis, and should be allowed to develop and differ without inappropriate comparisons. Edward Mozley Roche and Michael James Blaine, “The Intelligence Gap: What the Multi-National Enterprise Can Learn from Government and Military Intelligence Organizations“, Thunderbird International Business Review, Volume 57, Issue 1, pages 3–13, January/February 2015. See, e.g. 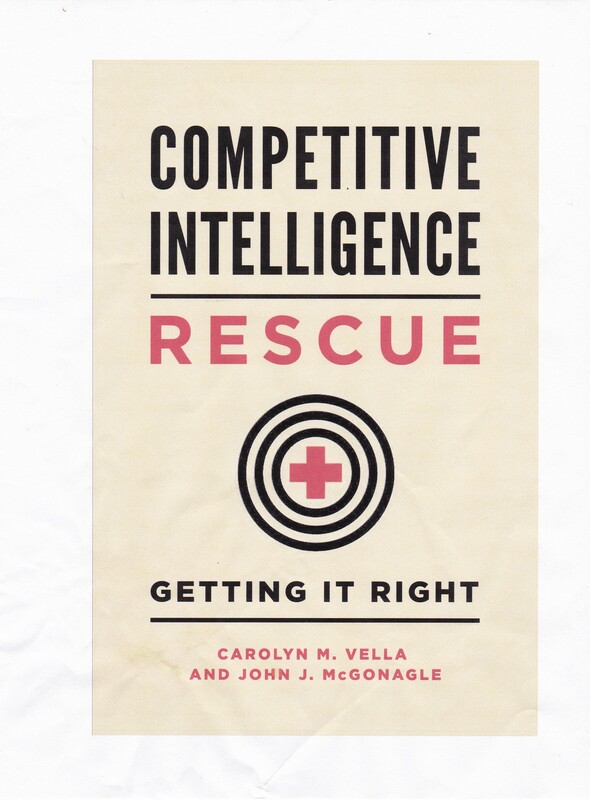 The Helicon Group, “Ethical Standards”, Strategic and Competitive Intelligence Professionals, “SCIP Code of Ethics for CI Professionals”, and John J. McGonagle and Carolyn M. Vella, Proactive Intelligence – The Successful Executive’s Guide to Intelligence, Spring, 2012, Chapters 5 and 6. In the words of Eddie Wilson, “Hey! I didn’t say better, I said different”, Eddie and the Cruisers, Embassy Pictures, 1983. Thanks John for the two articles. I’m not sure that I agree with you. CI mainly in OSINT has been developed greatly in last 5-10 years and government intelligence has a lot to learn after it was stuck for years with over relying on covert sources and undermining OSINT. This is relevant more in strategic intelligence while in tactical / intelligence, the government intelligence tools are much stronger while CI is not there.